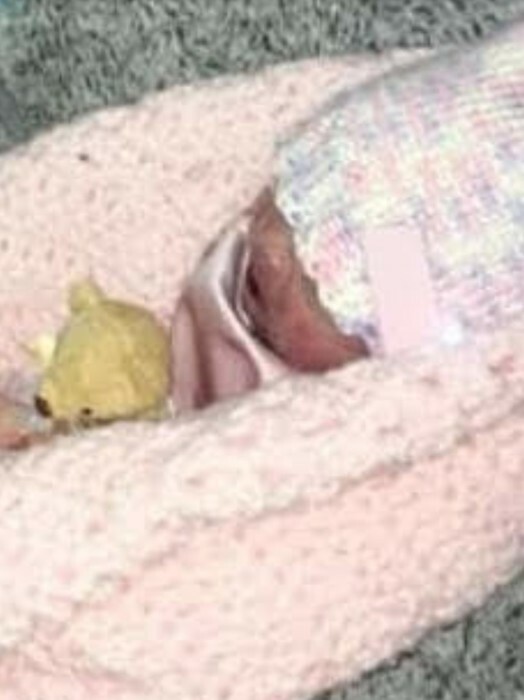 Danville – Baby Kaylani Joyner, 12-day old infant, passed away on February 6, 2019 at Carle Foundation Hospital in Urbana. Kaylani was born on January 25, 2019 the daughter of Jenna Schoonover and Jonathan Joyner. Kaylani is survived by her parents, Jenna Schoonover and Jonathan Joyner; three brothers, Geoni Joyner, Keyondre Hinshaw and Jonathan Joyner, Jr; two sisters, Jon’Naiya Joyner and Keyari Young, maternal grandmother, Karyn Williford; maternal grandfather, John Schoonover; paternal grandmother, Tina Joyner and paternal grandfather, LaMont (Marva) Bunch as well as her great grandparents and several aunts, uncles, nieces, nephews and cousins. Graveside services will be held at 9:00 AM on Friday, February 15, 2019 at Sunset Memorial Park in the Garden of Innocence with Pastor Bobby Keys officiating. Sunset Funeral Home and Cremation Center, 3940 N. Vermilion Street Danville, IL is assisting the family with arrangements.